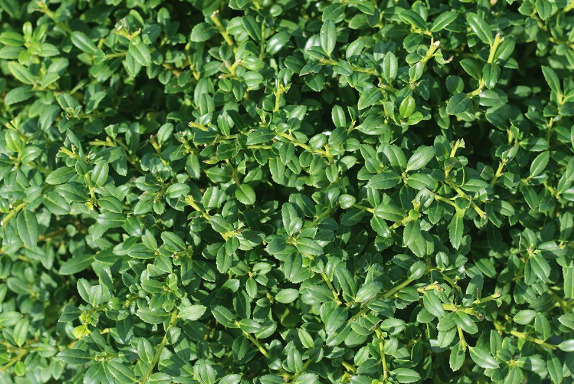 A dense, mounded, evergreen shrub with soft-textured, glossy green leaves that have an interesting silver mid-vein. Works wonderfully when planted in borders, as an accent, or along walkways. Black berries last all winter for cool season interest.